Macs don’t get viruses, right? Wrong, sadly. Your Mac may be safer from malware than the average Windows PC, thanks to its Unix core and Apple’s default security settings in the OS, but it’s not immune. All it takes is one thoughtless click on a link in an email or on a website, and your Mac could be infected. The good news is that performing a Mac virus scan is very easy and if it finds anything, getting rid of the virus is very straightforward, too. 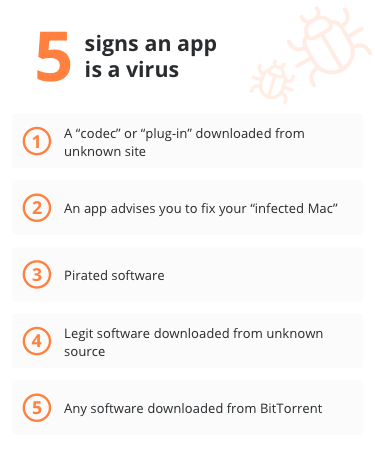 There are a number of tell-tale signs that your Mac has a virus. If it’s not displaying any of those, there’s probably nothing to worry about. 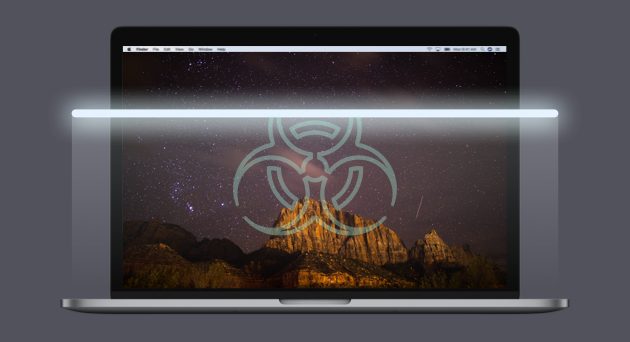 So, before you scan your Mac for a virus, here are a few things to check. 1. Is your Mac behaving erratically? This could include applications crashing, web browsers loading pages you didn’t ask for, and unusually high traffic on your network. 2. Has it started running very slowly all of a sudden? Some viruses run processes that hog CPU cycles and leave little capacity for the tasks you want to carry out. 3. Are you seeing adverts or pop-ups for things you would never normally see? Adware viruses are designed specifically to show adverts in the hope that you’ll click on them. 4. Have you noticed software appear on your Mac that you didn’t deliberately install? Some viruses appear in the form of browser extensions, others run in the background, but some may appear as applications in your Applications folder. If any of the above are true, it’s possible that your Mac has a virus, but don’t panic, it may be relatively easy to remove. If you find an application that you didn’t intend to install, you should get rid of it. But don’t just drag it from your Applications folder to the Trash, that won’t remove every trace of it from your Mac. Applications store files in a number of different places in your Mac’s Library folders. You could hunt them down and remove them manually, but it’s quicker and easier to use a dedicated uninstaller like CleanMyMac X. That way, you can be sure you will remove every trace of the application and no stray files will be left behind. Launch it from your Applications folder. 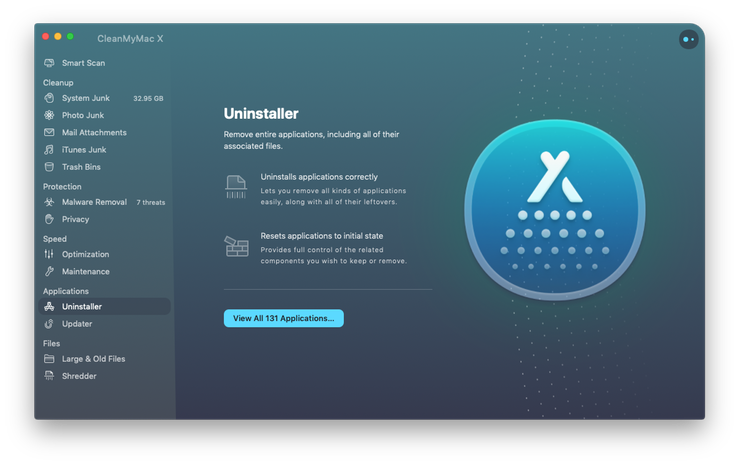 In the Utilities section, click on Uninstaller. Look through the list of applications until you see the one you want to get rid of. Check the box next to it. There are several Mac virus scanners that allow you to scan your system. However, it’s very important that you don’t just google ‘free Mac antivirus software.’ Many sites that claim to offer free antivirus tools in fact host viruses themselves. So, you go to the site looking for a solution and end up making the problem worse. It’s important to use a reputable tool. 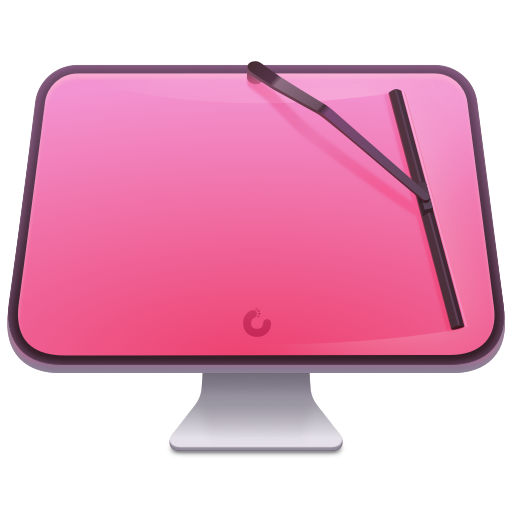 We recommend using CleanMyMac X. Prevention is always better than cure. So, if you want to make sure that every virus scan returns a clean bill of health, here’s what to do. Never click a link in an email unless you’re 100% sure where the email has come from and where the link will take you. Reputable companies and banks won’t ask you to click a link to log into an account, for example. Never download anything unless you’re certain what it is. That includes movie files, software updates, games, and anything else you’re not absolutely certain about. Keep your Mac updated with the latest version of macOS. That doesn’t mean you have to be running the very latest OS, but if you’re running, say, Sierra, make sure you install the latest updates when they become available. Scanning your Mac for threats is very easy. Get CleanMyMac X to make your Mac as safe as new. With its help, you get rid of any applications you didn’t intend to download, and scan your whole system for malware very quick and easy. Give it a go.